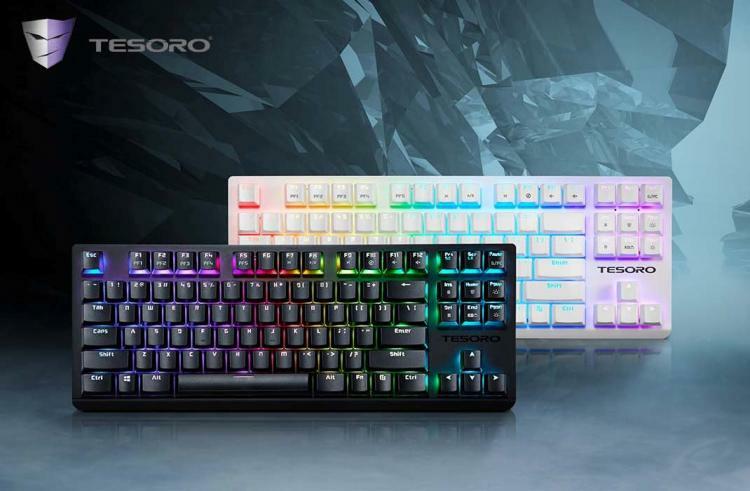 Tesoro presents the GRAM Spectrum TKL mechanical gaming keyboard featuring a more compact layout. 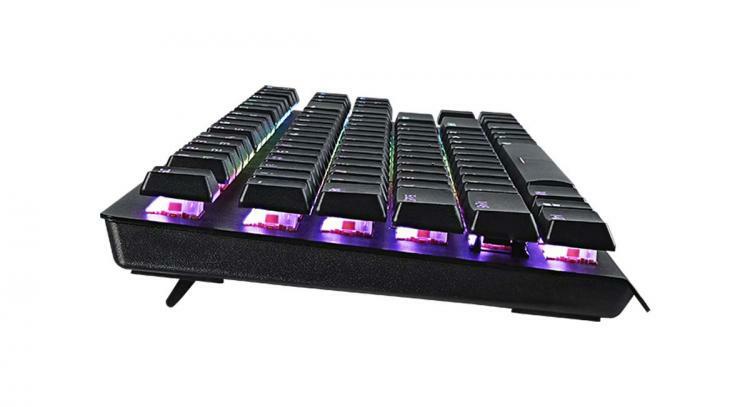 The Tesoro GRAM Spectrum TKL is perfect for gamers with a tight gaming area or prefers a larger space for their mousepad to allow better freedom of movement. It uses Tesoro’s Agile Slim switches to deliver precise keystrokes with fast and accurate actuation in a compact tenkeyless layout. 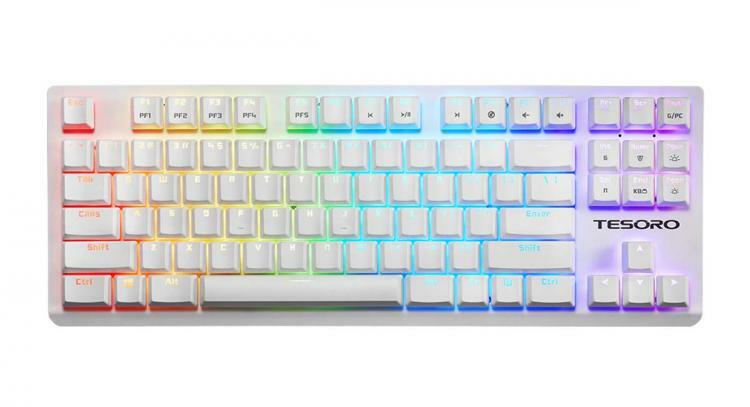 The GRAM Spectrum TKL keyboard also features customizable RGB lighting. The Tesoro GRAM Spectrum TKL keyboard is 80% the size of the standard full-sized keyboard making it more portable and ideal for LAN parties. It comes with a steel plate for durability and sports rounded double-injection low-profile keycaps for comfort. The GRAM Spectrum TKL packs RGB lighting with up to 16.8 million colours available for customization via the Tesoro 360 Software. Users can also create key customizations and macros as well as lighting recording using the Tesoro 360 Software. 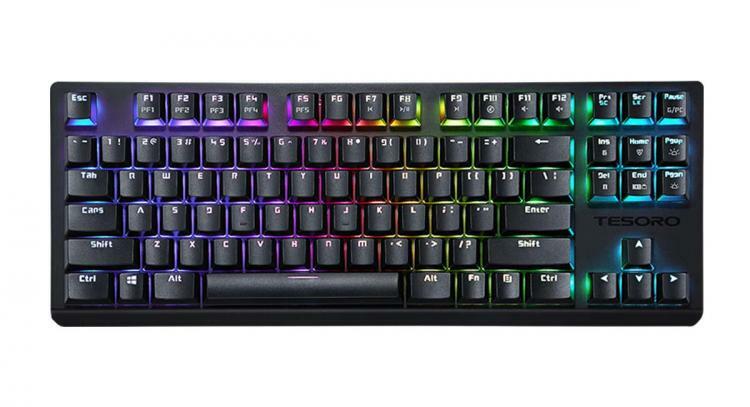 The Tesoro GRAM Spectrum TKL keyboard will be launched this November 1, 2018 with an MSRP of $99 USD. Learn more about the Tesoro GRAM Spectrum TKL here.